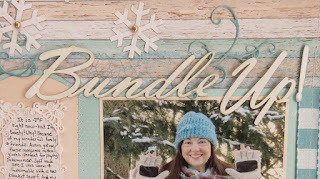 Blog Quick Quotes: January Club Q with June! January Club Q with June! I love the Quick Quotes new January Club Q kits! 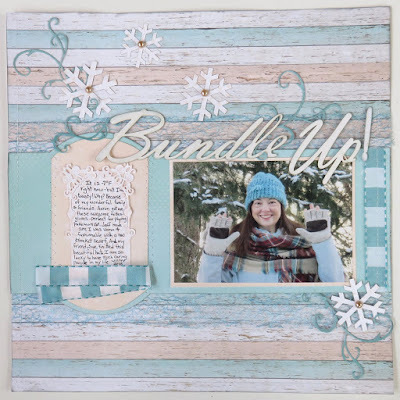 Here is an alternative layout you can create from the Page Layout kit. 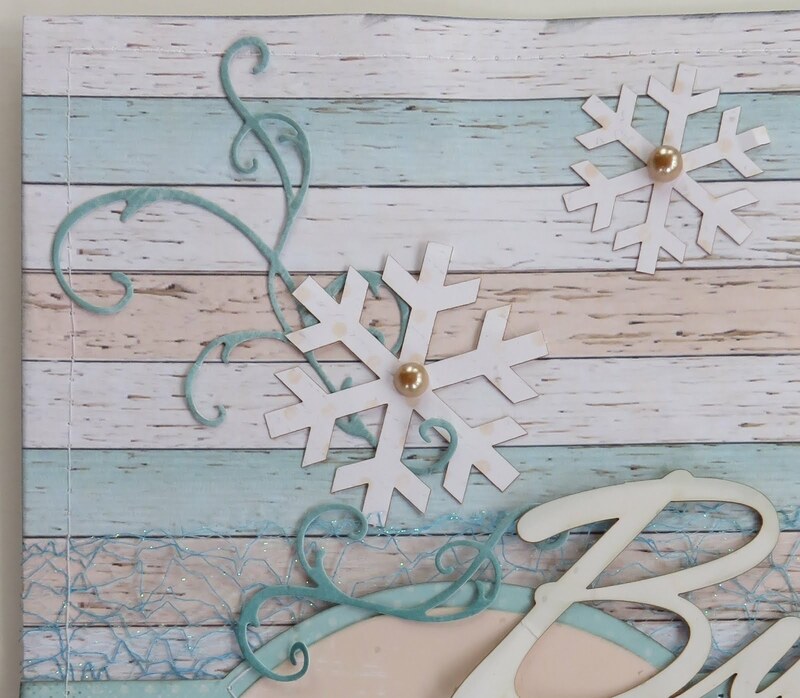 Most everything from the title and ribbon to the snowflake embellishments and gems are included in the kit, which makes creating this page a breeze. 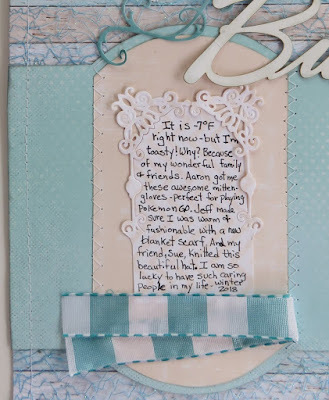 I die cut the swirls & journaling card from papers in the kit, and added the blue netting from my stash. 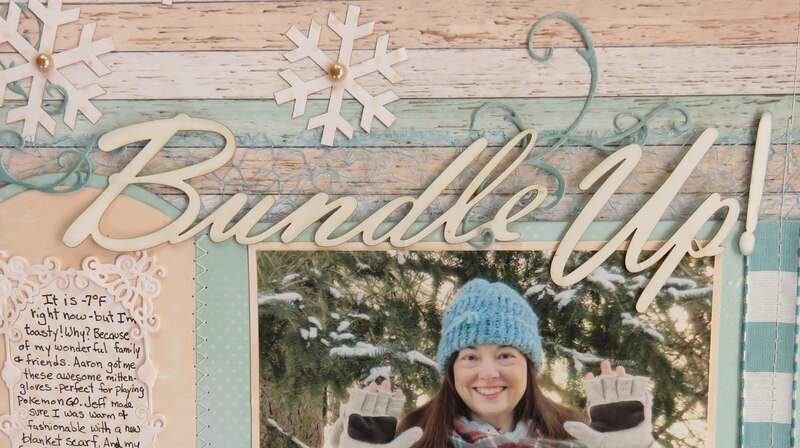 Everything in this kit coordinates so well, from the multi-colored woodgrain pattern paper to the beautiful, delicate laser cut embellishments. 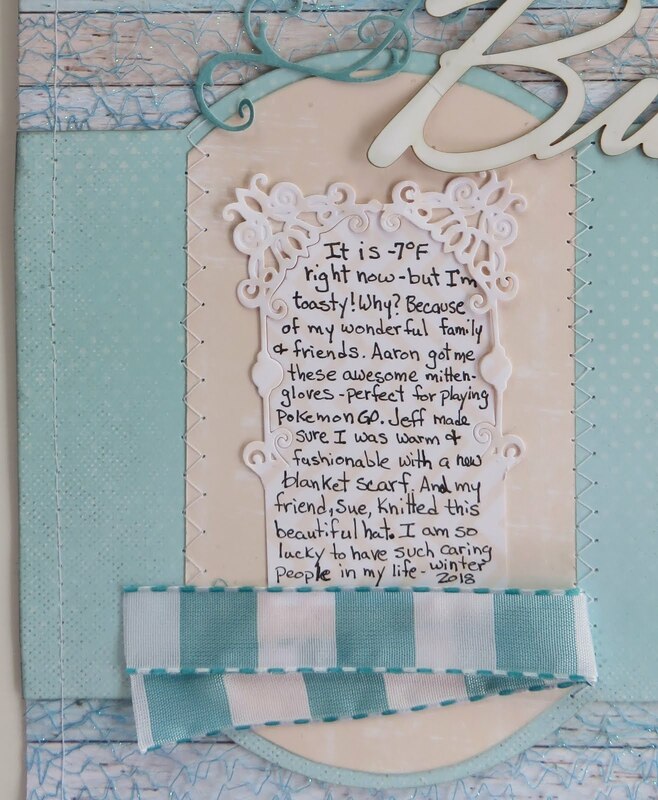 You can make the pre-designed pages or create your own design, and know everything will look great together. 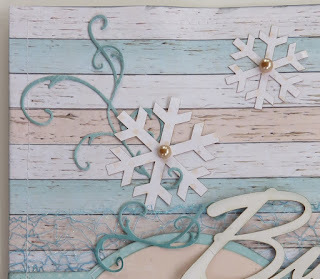 I used Slate PowderPuff Chalking Ink to edge the papers, embellishments and title. I love how the ink really adds depth and interest to the design. This little extra step makes a big impact! The photo was printed with Canon's Selphy CP1200 Photo printer. It astounds me that in just a few minutes I can go from taking a picture to having the photo on the page.